Window Awnings | Kreider's Canvas Service, Inc. 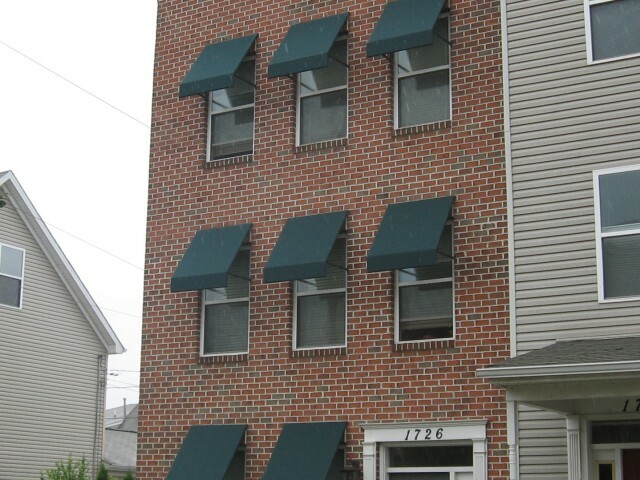 The benefits of Window awnings go far beyond aesthetic appeal. 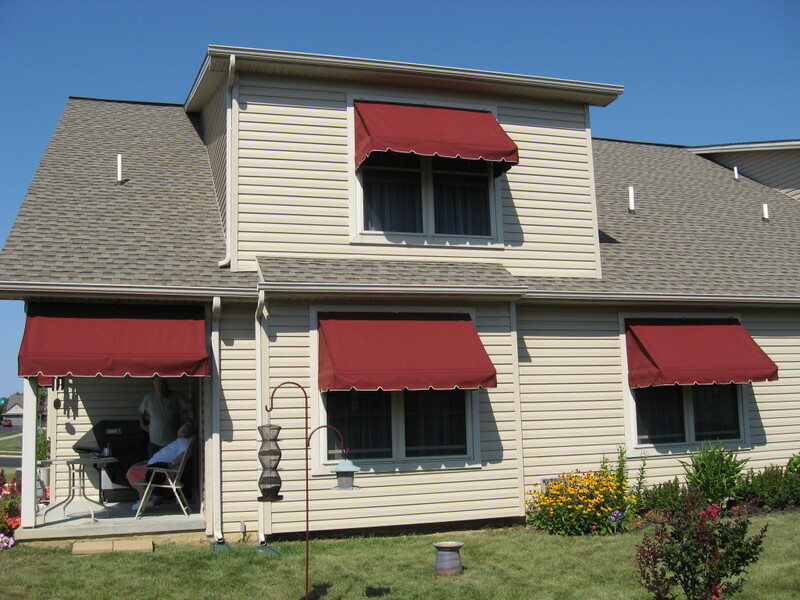 Awnings can enhance the look of an ordinary home by adding shape, dimension and color. They offer energy saving benefits as well as protecting furniture, floors and carpets from fading caused by harsh sunrays. You can actually feel the energy saving benefits. 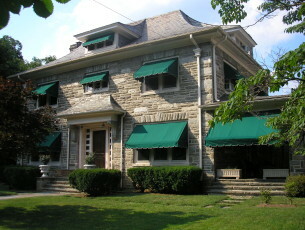 In a typical home, more energy is lost through glass doors and windows than through any other construction element. In fact, on a hot day, more energy comes through one square foot of glass than through an entire insulated wall. 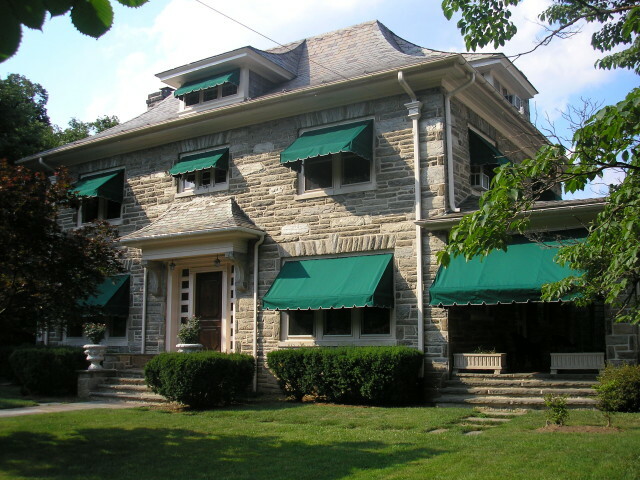 Solar radiation through glass is responsible for approximately 20 percent of the load on an air conditioner. Window films and lightly tinted glass effectively reduce heat gain, as well as glare. Properly designed awnings accomplish the same purpose and substantially increase energy saved over the film and tinted glass alternatives. 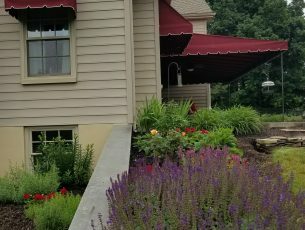 Studies by the American Society of Heating and Air Conditioning Engineers show that during the period of the day when the sun shines directly on southern facing windows, a fabric awning reduces heat gain by 55 to 65 percent. For western exposure, the reduction in heat gain is 72 to 77 percent. 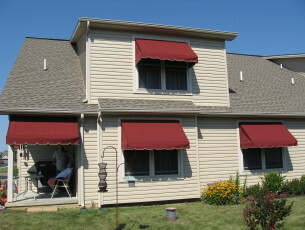 Add color and dimension to your home by adding window awnings. 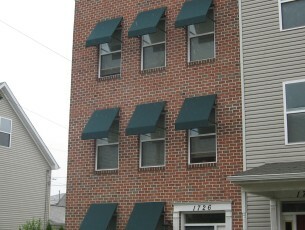 Window awnings illustrating how awnings provide shade for the whole window. Both the frame installers and the cover installers did a great job, very nice guys. We are very satisfied.